In case you missed it, the most recent poker movie is about to be released on DVD. It has won numerous film festivals all over the United States, and was considered a huge success. If you haven't been able to see it yet, you can buy it from April 15 on DVD. The picture is about an annual illegal poker championship in Scott County, Indiana. The film, which is a 'mockumentary' features various characters including an Amish farmer, a rude redneck, a preacher, a priest, a waitress, all contending for the first prize of the poker tournament. Joe Boyd, director and star of the film stated: "We made a ridiculous movie on purpose. The poker community has been burnt by a series of unpopular, terrible movies over the last five years. I think people like this movie so much because it takes nothing seriously. It’s a complete silly farce. It’s like the movie Airplane…if Airplane was a fake documentary about poker." 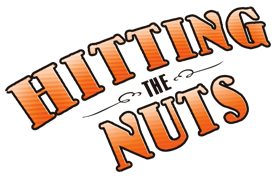 Below you can find a short trailer, and if you liked it, you can pre-order the DVD on the Hitting the Nuts website. Already seen the film? Tell me how you liked it in the comments below.